Take a poll on Dr. Hite’s departure. We are thankful that Dr. William R. Hite Jr has decided to resign after pressure from several elected officials and concerned citizenry. As we write this, he is heading out to Philadelphia ”the city of brotherly love”. We wanted to take a quick poll to see how you feel about his departure from the massive cover up of corruption, nepotism and professional misconduct which he initiated in many ways. We, the Reform Sasscer Movement, are willing to “let bygones be bygones” on condition that he does not interfere with the selection process of the next superintendent and Deputy superintendent of schools. Take our survey by clicking the link below. Top Priorities For The Incoming BOE in PGCPS. TOP PRIORITIES FOR THE INCOMING BOARD OF EDUCATION MEMBERS IN PGCPS. Restore sanity to Prince George’s County Public Schools (PGCPS) discourse (Addressing corruption, nepotism and professional misconduct at Sasscer Administration Building). Evaluate unprofessional relationship between Dr. William Hite and various unions representing employees as well as some young female Principals. Review activities of previous nefarious Chief Legal Counsel Mr. Roger Thomas and previous nefarious Chief Human Resources Officer -Synthia J. Shilling (formerly Deputy Legal Counsel). These two cost the school system millions of dollars. Create a strong anti-discrimination and harassment policy in PGCPS. Obey state and federal laws. Access certification credentials held by senior management including Ms. Monica Goldson etc. Limit the purchasing power as exercised by Dr.William Hite when purchasing school system merchandize. (Who abused this power and was without oversight). 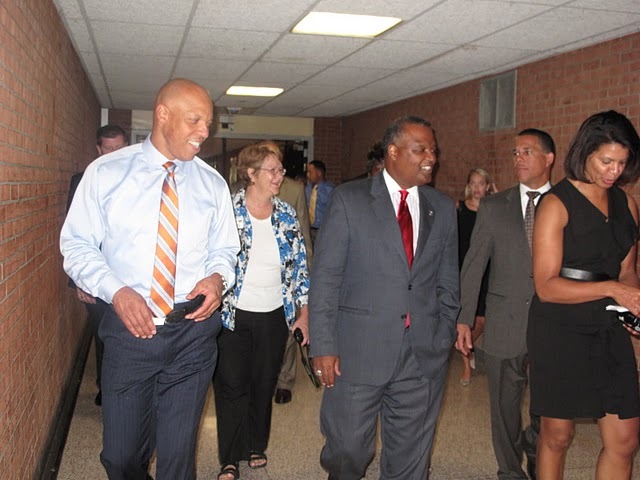 Find ways to address and help reduce high suspension rate throughout the PGCPS District. Suspended students become a problem to the community. Examine closely all contracts over $10,000 signed off by Dr. William Hite Jr. and Ms. Verjeana Jacobs previously (Corrupt BOE Chair). Consider the following points as they impact the entire school District. A.) Adding tighter campaign finance rules to avoid repeats of the Thatcher Campaign Donations Fiasco. B.) Lobbying the County Council and the County Executive (Rushern Baker) to appoint an Inspector General (IG) to address waste, fraud, and abuse issues for all county agencies at Baker’s Office (including School Board). (These steps are necessary because an I.G. has not been appointed and there are an abundance of attorneys). Yes we can! C.) Enforce the existing Codes of Ethics for all central office employees. Report infractions that go unpunished to MSDE. D.) Report all concerns to MSDE so the state department is more accountable to us in enforcing state laws and policies at the local level. E.) Ask tough questions about Ms. Elizabeth Davis, alleged lover to Tony Liberatore. His wife allegedly walked up on those two kissing at Sasscer. Ms. Davis does EEOC hearings/mediations. What are her qualifications and credentials for that role with such low morals? What connection did she have with Ms. Synthia Kucner? 11. Consider rules and regulations by federal, state and BOE policies. A.) Abide by state law for Hite’s contract. The verbage for the state law is on the BOE webpage. see the attached link. B.) Establish more precise criteria so we can get a better leader. Attract qualified, traditional candidates from other than Broad Group and other such organizations. C.) Elect a BOE that will supervise rather than fraternize with the Superintendent. D.) Complete THOROUGH background checks to avoid embarrassment of incidents like Deasy’s questionable doctorate. A.) Look into the growing number of personnel in PGCPS like Jim Whattam, Esq., and Baker’s appointees like Mr. Christian Rhodes, Education Liaison, who have extensive ties to Prince George’s County Educator Association (PGCEA). Be fair to all unions without over representing the teachers. B.) The serious allegations of misconduct by previous Superintendent Dr. William Hite Jr. and some female employees need to be investigated. The concerns need to be put directly in writing to the BOE members and a demand for an investigation launched right away. A Copy needs to be forwarded to Mr. Rod Rosenstein’s office if the BOE does not act. The man was worse than Dr. Hornsby. 13. Dr. William Hite Jr. should be summoned back to explain what happened when he appointed less qualified, non-credentialed personnel without following the state law. BOE should supervise the future Superintendent and force HR compliance. In the previous format, Dr. Hite always told the BOE what to do. This is unacceptable. E.) OIA number of lawsuits and EEOC complaints. There are so many EEOC complaints, they now have outsourced to other field offices throughout the country. G.) The Thatcher contract was a no bid contract, totally against BOE policy. It needs to be cancelled. H.) The $90 million Dr. Hornsby left behind that has been squandered. I.) A proper investigation needs to be launched ASAP to follow money trail involving Dr. William Hite Jr., Roger Thomas, Mr. Matthew E. Stanski, Ms. Synthia J. Shilling also known as Ms. Synthia Kucner, and co-conspirators. 15. Contact state and federal officials (FBI, DOJ) about the broken laws, policies and procedures. 16. Go to Dept of Labor, MSDE, EEOC and any other organizations like NAACP, Casa de Maryland and La Raza about discrimination and hiring. Demand to know about credentials and licensure. The State Department is already doing an audit. 17. Report any information to Miranda Spivack or Ovetta Wiggins of the Washington Post or NBC4 Prince George’s County Bureau Chief Tracee Wilkins so they may do a story on misappropriation of funds. (After the incident with Dr. Hornsby occurred, BOE policies/procedures were implemented to prevent a reoccurrence. These procedures have yet to be followed. 18. Stop empowering Principals who harbor strong biases and use the system to destroy teaching credentials in order to remove teachers who don’t appeal to them. Test scores rise because of teachers and not because of the principals. Administrators should be receptive helpers and not feared executioners. 19. Teachers and staff in PGCPS need a raise like what happened to Montgomery County Public School (MCPS) teachers recently. PGCPS staff have not had a raise for a while now. They work very hard usually without compensation. 20. Investigate Office of Constituent Services which acts as a campaign tool for Dr. William Hite even after he left the system. This office does very little to promote the interests of the PGCPS. The said office was only created to promote William Hite’s personal agenda and the staff overpaid to sit around to help put out fires touching on Dr. William Hite. 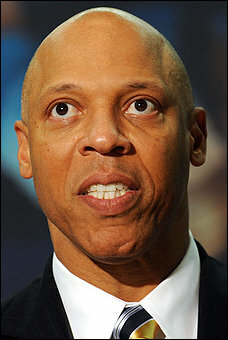 Several staff members were given huge raises with no justification by Superintendent Hite personally. In this regard, IT Help Desk and Constituent Services needs to be merged to avoid duplication of duties. 21. Investigate IT Department and the relationship between some BOE members connected to fired IT Director Mr. Pierre Dickson. Verify what damage caused by the said Director and his lover Ms. Shanita Anderson. A.) The Director of communications Mr. Briant K. Coleman is a close family member to second in command. B.) Several Instructional Directors have spouses who are either Principals or administrators within PGCPS. C.) The previous Director was fired to create room for the current Communication Director, who is family member of the Deputy Superintendent. 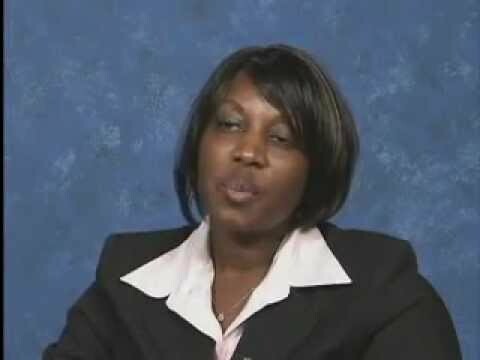 E.) Investigate Ms. Monica Goldson, Chief Operating Officer (COO). She has several relatives in high level positions beginning at Sasscer – HR and in various schools. As the chief operating officer (COO), She controls millions of dollars and reports to the chief executive officer or the superintendent of schools. She is also responsible for the PGCPS’s day-to-day operating activities, including revenue and sales growth; expense, cost and margin control; and monthly, quarterly and annual financial goal management etc. What did she do to Dr. Hite to get the job without qualifications? Investigate, investigate and change things immediately. Thank you and Keep up the pressure! Thank you for your support! We are humbled by your faith in the reform Sasscer movement to carry out your message to the Pg county voters forward. Now the second phase of our fight begins in earnest. We are going to carry our message to every nook and cranny in the Pg county School District. The future of our county and our children is at stake and we look forward to discussing these issues with citizens from every Council, town, and village in Prince Georges County (Pg). Join us in this endeavor–contact our Headquarters to find out how you can help. Email (reformpgcps@gmail.com) & blogs. We would also like to thank Mr. Edward Burroughs, Mr. David Murray, Ms. Raaheela Ahmed, Ms Carletta Fellows, Mr. Micah Watson, Mr. Dennis Smith, Mr. Sandy J. Vaughns , Ms. Deidre N. Jackson and others for running a smooth campaign. Their sincerity, honesty, and sportsmanship are commendable and made the races enjoyable. We invite them to join our campaign in our effort to give the citizens of Pg county school System – Board of Education members who will better represent everyone. The fight against corruption, proffessional misconduct and nepotism at Sasscer Administration Building and in the schools should be a concern to everybody especially the voters. Once again, thank you for your vote of confidence in helping advance change, innovation and transformation in Prince George’s county public schools (Pgcps). 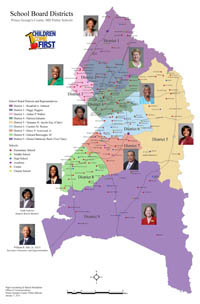 Together, We look forward to making sure that Ms. Verjeana Jacobs ( Board of Education Chairperson pictured below) loses her seat in November 2012. She is and has been the epicenter of corruption in Pgcps and has failed to address the issues brought to her attention through the blogs (read more) etc. Dr. Hite & his ongoing scandals. On Monday Dr. William Hite, Superintendent of the Prince George’s County Public Schools, invited all non-incumbent candidates for the Board of Education to a private meeting in his office. Our investigations reveal that, Hite requested the discussion to probably sway potential board members. He is looking for ways to make sure it works for him since questions surrounding misappropriation of funds, professional misconduct and nepotism was first brought to light in our blog. Hite’s scheduling secretary sent an e-mail early this month (February 2012) inviting the candidates to a brief meeting on Monday night at Sasscer Administration Building. The invitation was not sent to all candidates but just all non-incumbents with an exception of two Board members close to Dr. Hite. The invite didn’t mention the agenda. However, Since then, the meeting has taken on a life of its own. Some of the BOE candidates chose not to attend the meeting with Dr. Hite because they felt it flirted with a line that they were not willing to cross. “Meetings of this type should not be done in private” Joseph Kitchen said. There was the appearance that he wanted to tell “candidates what the board is supposed to do. It’s supposed to work the other way around.” He continued. We agree with him. Superintendent William Hite Jr is not a reformer in our view and is presiding over deep seated corruption in variety of ways in Pg County. Superintendent Hite who is a great friend of convicted former county executive (Jack Johnson) needs to be put on the spot light as he was elected corruptly. Proper accountability is needed immediately. According to Washington post, “among some of the topics discussed were the district’s revenue, its enrollment, and maintenance and repair of school property”. The information shared by Dr. Hite never came as a surprise to us, and the issues he outlined are issues we have been involved in for many months now. We want to see proper accountability and transparency involving millions of dollars slated to be poured in Pg County towards construction projects and other matters in the next school year. We demand public scrutiny with proper checks and balances. Accountability is a fundamental value for any system. Citizens of PG County should have the right to know what actions are being taken in their name, and they should have the means to force corrective actions when government acts in an illegal, immoral, or unjust manner as seen in Prince Georges County recently. Individual citizens should have the ability to have some redress when their rights are abused by government or they do not receive the public benefits to which they are entitled. Accountability is also important for Dr Hite and PGCPS itself. It provides the school system or any government agency with a means of understanding how programs may fail and finding mechanisms that can make programs perform better. Covering up Financial corruption with the announcement that PGCPS got a Distinguished Budget Presentation Award will never fly with anybody. Staff we spoke to at Sasscer knows what is happening regarding the decay in PGCPS. In the next several months, discussions on serious issues regarding corruptions and other matters will be discussed. It’s in these forums where true leaders will be identified to lead the next BOE in Prince Georges County. The decision regarding a private meeting with Dr. Hite should not have taken place in private especially in regards to issues pertaining to public funds. Let us demand transparency. 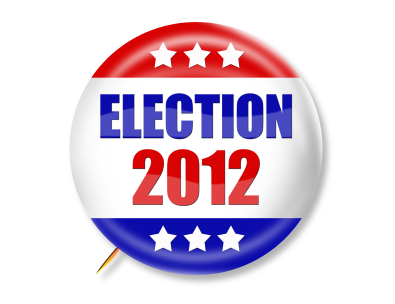 23 candidates are vying for the Board of Education seats. Citizens of PG County must do their work in order to select the best candidates who have a good track record in fighting corruption. This is the key to accountability!